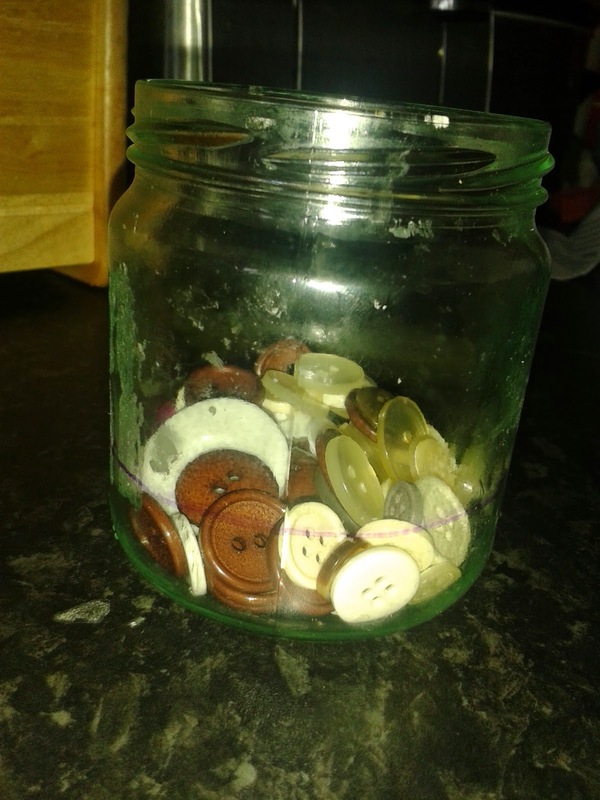 Naomi has a button jar, basically it is for rewarding her in a similar way to a sticker chart but with fewer stickers getting stuck EVERYWHERE! I couldn't find a small enough jar so there is a line on this one that she needs to get up to (you can just about see it here). 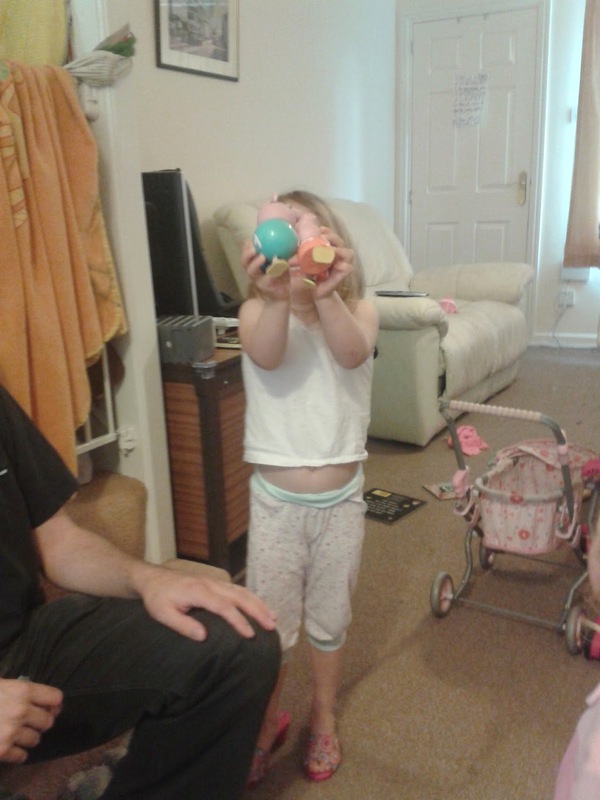 The basic principle is that she gets a button for being "good", so she gets one for getting dressed nicely and without fuss, or for eating her dinner without using her hands and making a mess or for going to the toilet on her own (a current "issue). 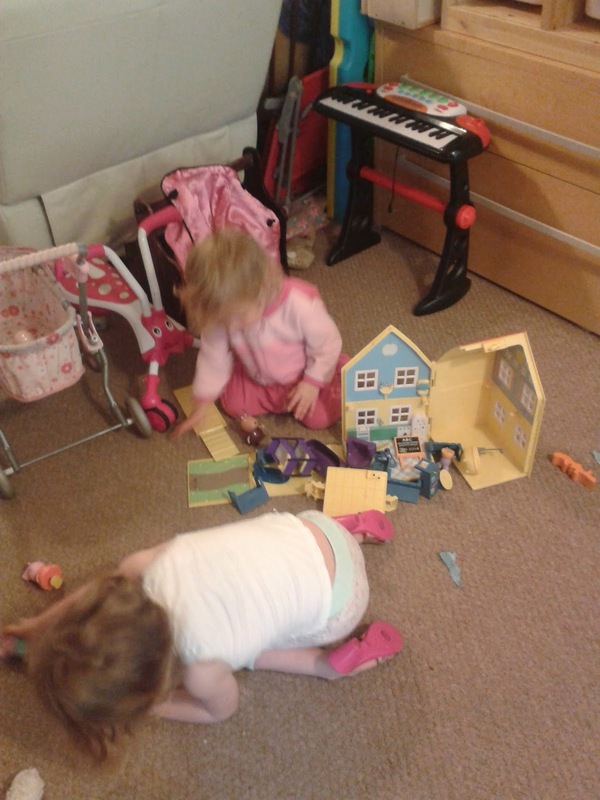 She also gets them for sharing nicely with her sister or for helping me around the house without needing to be coerced! 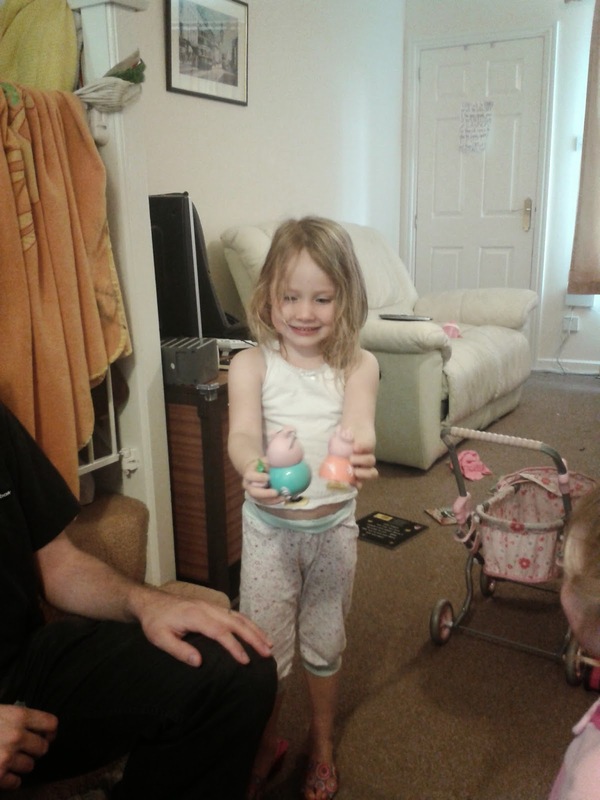 here she is enjoying it in my first attempt at a photo, she had a nicer smile here, not that you'd know! 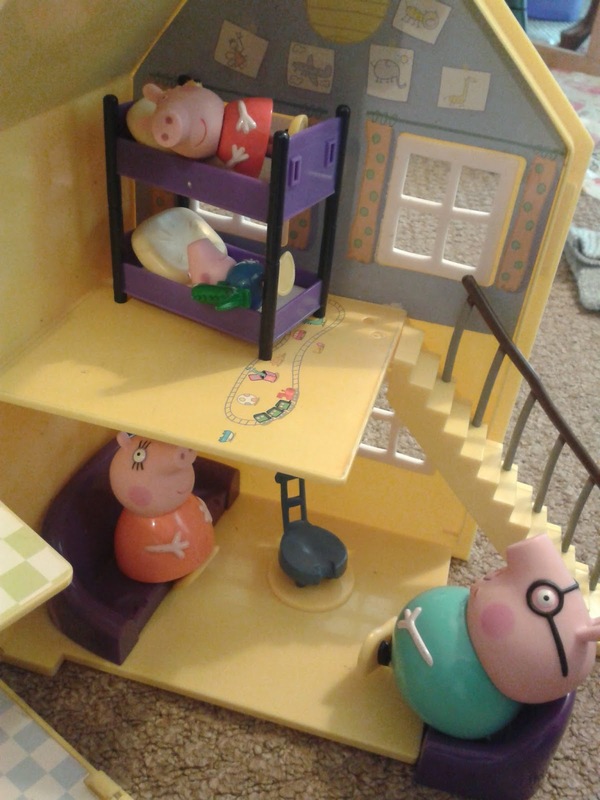 And a final wee photo for you, Naomi enjoyed setting up this scene where Peppa and George (the children) are sleeping in bed and Mummy and Daddy Pig are downstairs watching telly! !